A new way for advisors and their older clients to calculate how much annual income they will need in retirement and whether they're on track. Over the past 30 years, the retirement savings burden has devolved on individual investors as fewer American workers are covered by traditional defined benefit pension plans, once a major source of retirement income, according to asset manager BlackRock. BlackRock’s 2013 Retirement Survey found that only 23% of 1,011 American workers who were saving for retirement felt confident that they would have enough money to live in retirement. Two-thirds of respondents blanched at the prospect of trying to live without employment income. Last June, BlackRock introduced a series of indexes to help investors figure out their retirement income needs, and on Wednesday, the firm rolled out five mutual funds based on those indexes. “The goal is to make complexity simple for investors,” Chip Castille, head of BlackRock’s U.S. and Canada defined contribution group, said during a press briefing. The BlackRock CoRI Retirement Indexes were designed to enable investors 55 and older to better plan for retirement by tracking the estimated cost of $1 of future, annual inflation-adjusted lifetime income starting at age 65. The CoRI Index series focuses primarily on individuals from 55 to 64 years old. Each index is constructed with a view to the specific year in which those individuals will retire (assumed to be 65). The current series includes 10 indexes, from the BlackRock CoRI Retirement Index 2014 through the BlackRock CoRI Retirement Index 2023. A new index will be added every year. “The CoRI indexes enable pre-retirees to quickly estimate the annual lifetime income their current savings may generate once they turn 65,” Castille said. BlackRock offers a tool to help investors use the indexes. Here’s how it works. On its website, BlackRock offers the example of an investor who had saved $750,000 toward retirement as of last July 30, and will turn 65 in 2018. This investor would divide the savings amount by $16.06—the closing price of the BlackRock CoRI Retirement Index 2018 on July 30—and find that his savings could fund approximately $46,700 of annual income in retirement. Say the investor instead wanted $75,000 in yearly retirement income. He would multiply that amount by $16.06, and determine that as of July 30 he would have needed about $1,204,500 saved to achieve that goal. These estimates allow investors to adjust their savings or investing strategy during the pre-retirement period when good planning and appropriate course correction can make a big difference, BlackRock said. The indexes reflect the performance of a portfolio of corporate dollar-denominated bonds, U.S. government bonds and U.S. Treasury STRIPS (securities with separate interest and principal payments) selected to deliver a return that approximates the cost of a person’s lifetime income as it fluctuates over time. The CoRI index’s quantitative inputs include the individual’s age, current interest rates, the average price of immediate annuities (as a proxy for the price of lifetime income) and average life expectancies. The calculation of each index factors in a cost-of-living adjustment set at inception based on U.S. TIPS. Index values are published daily, and as an index value or level changes, savers can track real-time changes to the estimated price of future retirement income and the effect on the level of savings needed for the income they want. BlackRock’s new mutual funds seek to provide long-term investment results that correspond to the total return of the applicable underlying index. The funds invest mainly in U.S. Treasures and high-grade corporates, according to Castille. He said the CoRI funds were a flexible way to prepare for retirement. At age 65, the investor has several options. He can liquidate the holdings in his fund, and work with an advisor to invest in another income solution. Or he can customize his own plan. The investor can stay in a fund for up to 10 years after turning 65, and take distributions as part of his retirement income plan. When the fund reaches the year in which the investor turns 75, it will be liquidated and the remaining investment returned to him. The daily index level at that time will represent the median price for immediate lifetime income. 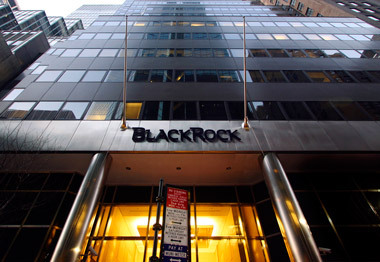 BlackRock cautioned in a statement that the return for CoRI funds was not guaranteed, and may be subject to greater risk of rising interest rates. Castille said he expected the funds’ fees, which he did not specify, to be competitive with those of bond index funds.